Joaquin is an energetic, enthusiastic, determined, and intelligent first grader. Even with his mischievous side, his adorable smile and big, out of the blue hugs easily win over all those around him. 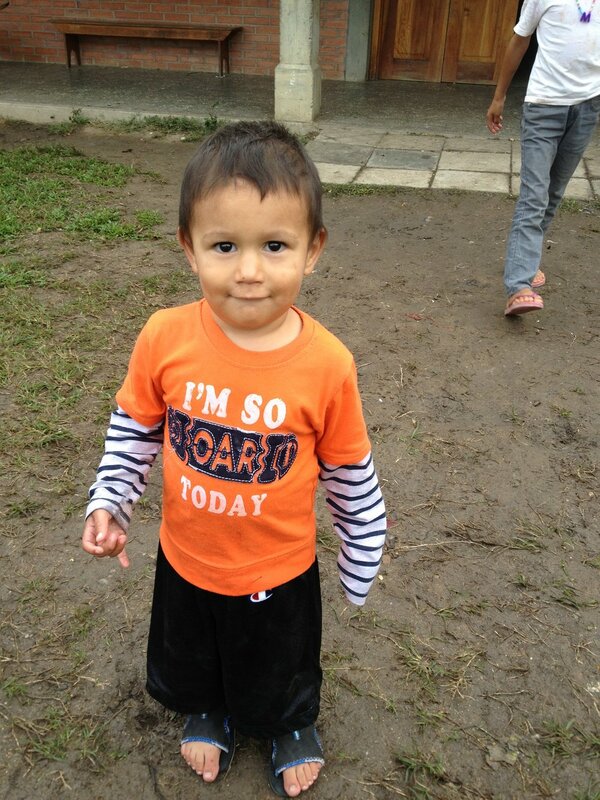 Joaquin loves his red rain boots, which he proudly rocks with any outfit at the first drop of rain, and enjoys spending time with the ‘padrinos’ in his ‘hogar,’ as well as his older sister who also lives at Amigos. What is your favorite part about school? Spanish and computer class, playing soccer during recreo, and being with Profe Miguel (Honduran volunteer teacher and one of Joaquin's 1st grade teachers) everyday. What is something interesting in class that you have learned recently? About shooting stars that pass by the planets. What are you grateful for at Amigos de Jesús? For the 'padrinos,' especially Padrino Elder. Also for Madrina Mirna and Padrino Rigo (two of the other 'padrinos' that work in Joaquin's house). And for all the people that are here. What is your favorite part of Amigos de Jesús? 'Hogar' 5 (the house Joaquin lives in) and the chapel. Who is your favorite person at the 'hogar'? Padrino Elder. Joaquin back in 2013 when he was just 3 years old. He's grown so much! At the science fair last spring, Joaquin and his class did an experiment about growing plants in eggshells, which they then presented to the entire school. With his sister, Felipa,* on the right, during Visitor's Day in 2016. Joaquin, pictured in the red shirt on the left, and friends in 2015. Last June, Joaquin graduated from 'Prepa' (Kindergarten). Here he is with his diploma surrounded by his three teachers.